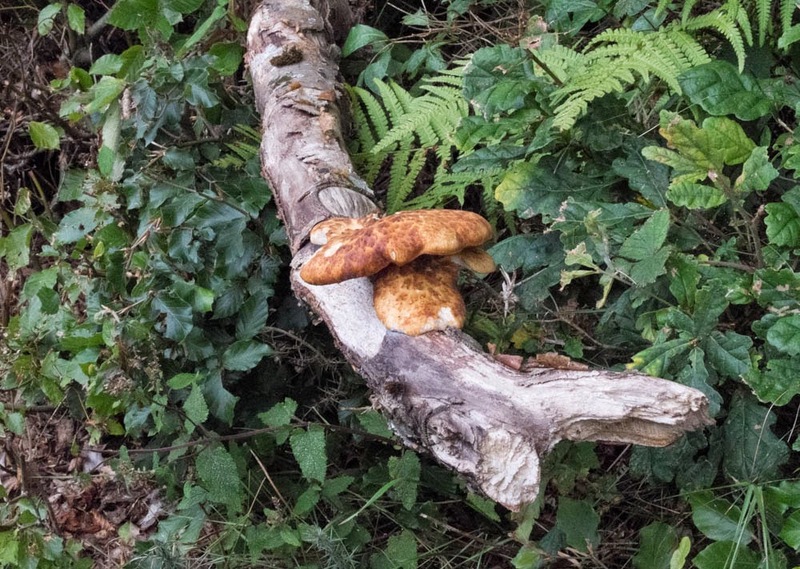 Carmarthenshire Fungi: Another Dryad's Saddle. Another example of Dryad's Saddle fungus (Polyporus squamosus). This time growing near Paxton's Tower, Llanarthne. Restricting itself to a dead branch, it has not grown as large and certainly not caused as much damage as the one at Cilsan bridge - see our earlier post. At Cilsan Bridge the infected sycamore tree has now completely given up the ghost.